Whether you are a college student, a young couple living together for the first time or a married couple with kids, getting on top of your finances is important. To reduce your debts and keep your household spending under control effective budgeting is crucial. That being said, you may not know where to start, and that’s okay. To help you find your feet with household budgeting, we have created a six tip guide to help you. The first thing to do when creating a budget is to look at what you spend your money on each month. Once you have created a list of everything you spend your money on, the next step is to categorize your spending into four categories. The categories are as follows. Necessities (rent, food), debts ( credit card debts), savings (pension), and recreational spending ( holiday). Subtract each of these expenses from your monthly income. 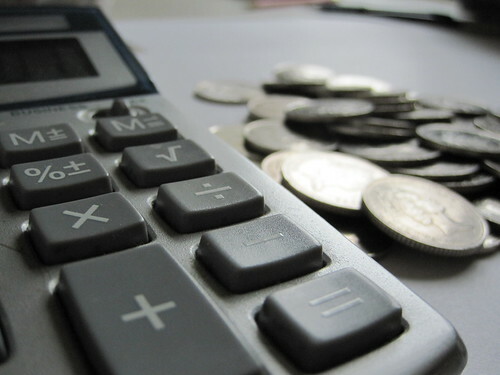 If the result is a negative number, don’t panic – that’s why you need a budget. It may be hard at first, but to create an effective household budget you need to cut all nonessential spending. Start by reducing what you spend on recreational things, like date nights and family trips. It will be difficult to start with, but if it helps you to get out of debt, it is worth doing. Put all money saved from reducing your recreational activities, towards paying off your debts. If you have not been honest with your partner or family about the financial problems you have been having, take time to talk to them. While it may be hard explaining to your children why there will be no movie trips for a while, it is important that they understand that you need to cut back. If you don’t explain the situation, then your family will not understand why everything has changed. For help implementing a budget in your household, get some advice. This can either be from online resources like this new site on money or from a counselor or professional advisor. You may find that by getting some advice, you feel less stressed out and can stick to your budget more easily. After the first couple of months of budgeting, review your budgeting strategies. Sit down and work out whether you have managed to save enough money. Did your spending habits actually change? Where were you able to save money? Are you on track with paying off your debts? It is important to ask yourself things like this so that you can establish if budgeting is actually helping you to reduce your debts. Look at your budget and see if you can find more ways to save money. Perhaps you could try shopping at a cheaper supermarket or try cutting coupons to reduce the cost?